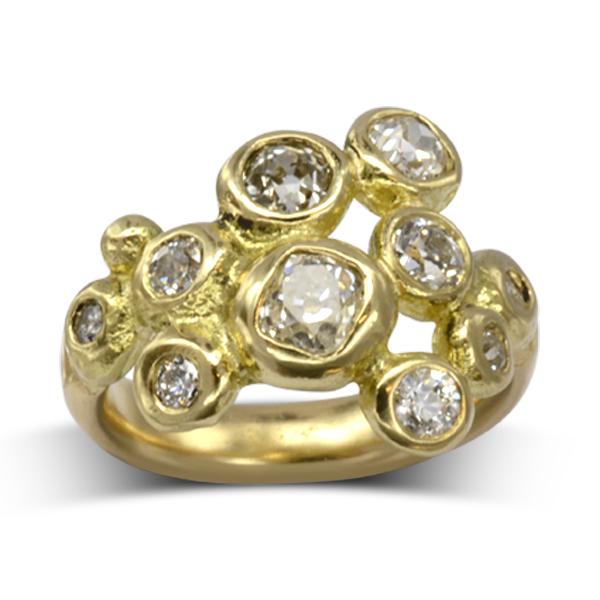 Old Cut Diamond Cluster Ring made with recommissioned antique diamonds in 18ct yellow gold. 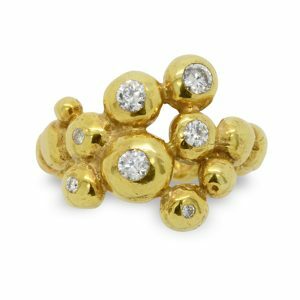 Have you got an old cut diamond languishing in the back of your jewellery box? At Pruden and Smith we specialise in redesigning them for you. We love the results we’re getting using the diverse shapes of these lovely old gems such as this old cut diamond ring. 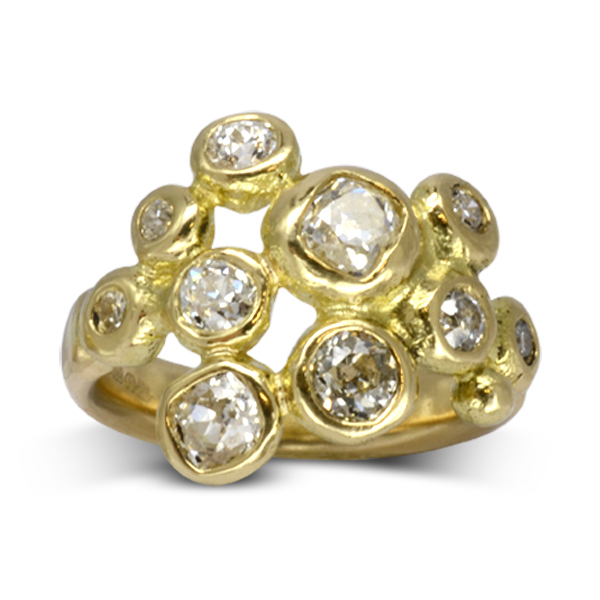 These antique diamonds are rare and unique, created by hand. The level of craftsmanship and skill required to create a beautiful diamond using only the most basic bruting techniques is astonishing. The connection that the diamond cutters had with their creations was much more labour intensive and personal than with modern laser cutting and each stone has it’s own character. 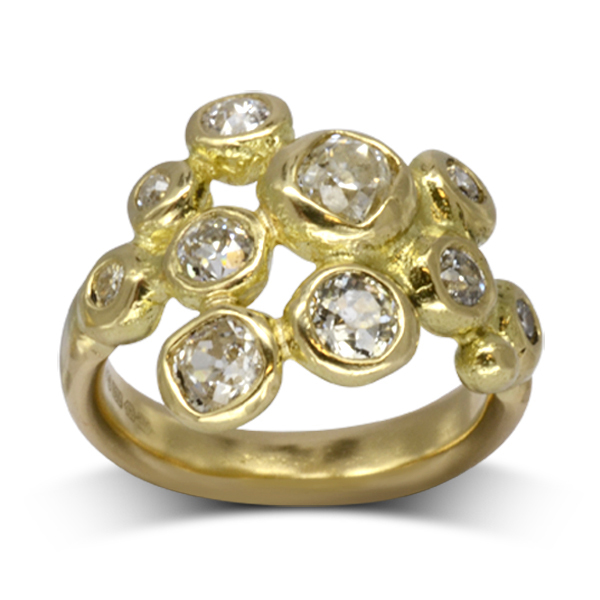 Much more emphasis was put on the natural beauty of the diamond. Most of these older stones would come from the mines of Brazil and Venezuela. 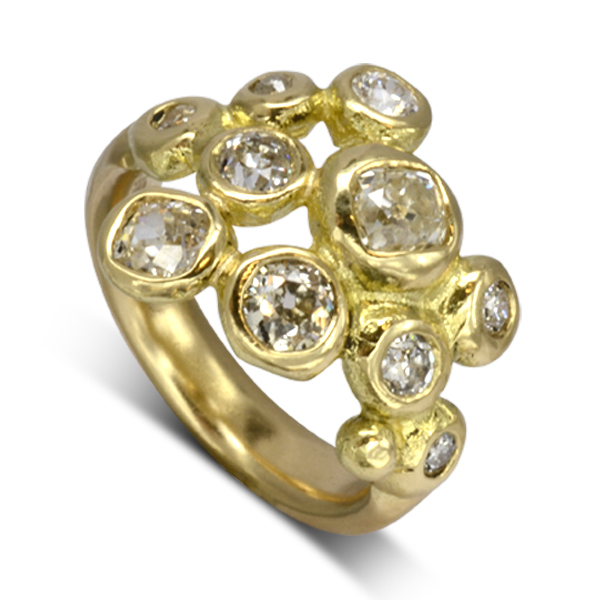 These old cut diamonds have been remounted in 18ct yellow gold in one of our “nugget collection” rings. 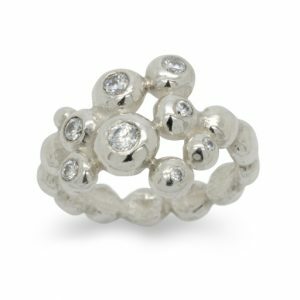 This ring can also be made with modern round brilliant cut diamonds.